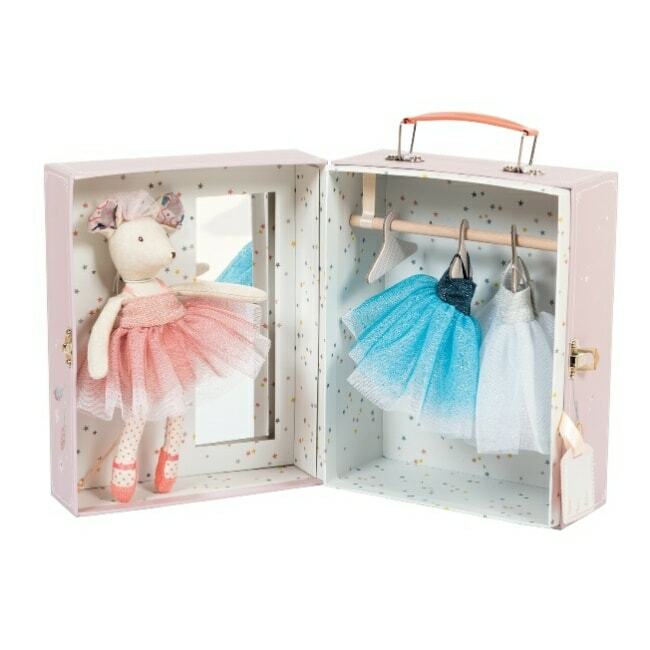 This travel-sized kit, which includes a ballerina mouse, mirror and three outfits (complete with hangers), makes a perfect travel companion for little ones aged three and over, who are going off on an adventure of their own. Maybe they’re going on a family holiday? This case encourages young ones to be creative in their imagination and the ballerina makes for a great addition to play-times with friend. 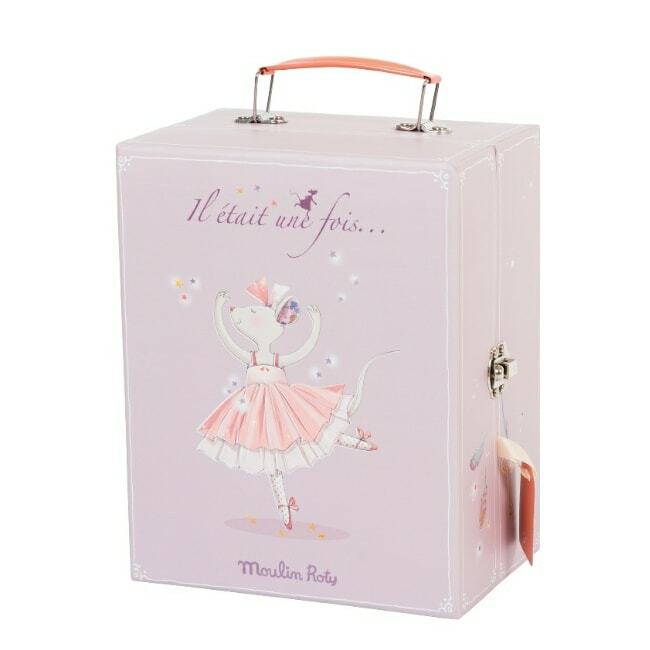 The suitcase and its contents are made from a mix of cotton, polyester and card, with the ballerina measuring in at 22cm in height.